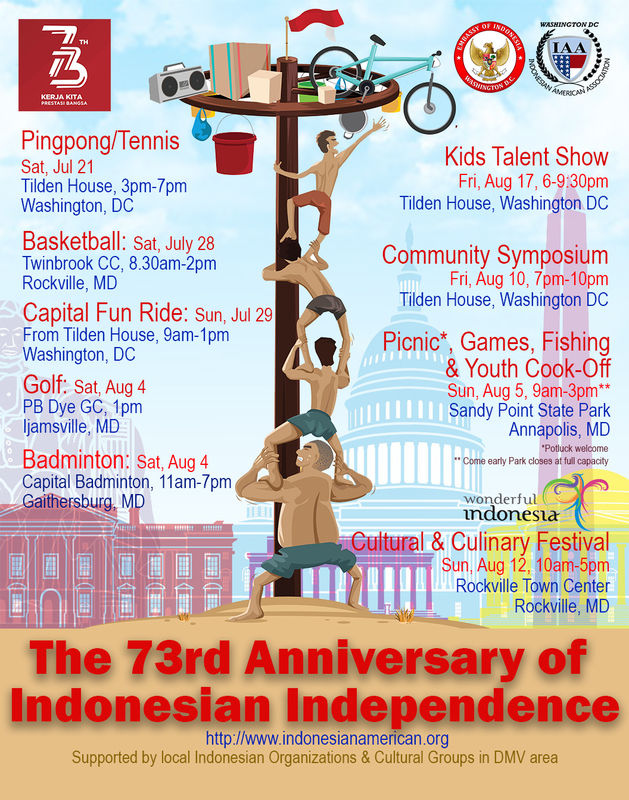 Come join us for 73rd Anniversary of Indonesian Independence Days. 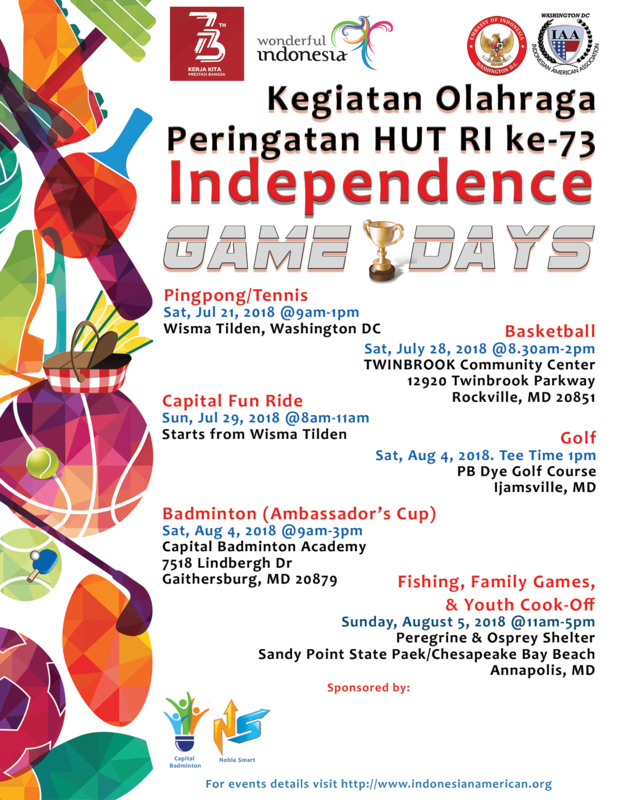 Our annual events including sport tournaments, picnic, games, and our annual Bazaar and Panggung Gembira. Stay tuned for more details and registrations.